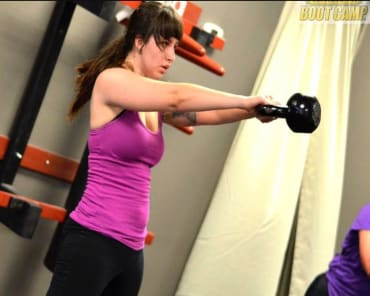 Our Group Fitness Classes At Fighting Fit Boot Camp Can Produce Real Results In No Time! Looking for a high-energy way to stay in shape and have a blast in the process? We've got the answer at Fighting Fit Boot Camp. 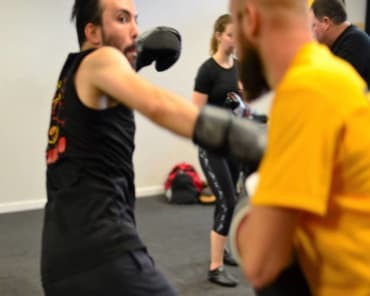 A sister school of Austin Impact Jeet Kune Do, Fighting Fit Boot Camp combines all the best aspects of fitness kickboxing and self-defense, giving you a Group Fitness class that truly kills two birds with one stone. Plus, we offer Hatha Yoga classes that are great for all abilities. Join us in Wells Branch and check it out for yourself! Just fill out the short form on your screen or click the logo below to learn more! Why Is This Group Fitness Program Right For You? Fighting Fit Boot Camp offers Fitness Kickboxing like you've never seen. We take all the aspects of striking and cardiovascular training that you might see at a big box gym and we take them to the next level. Our Group Fitness Classes in Wells Branch includes kettlebell training, medicine ball exercises, resistance bands, and more! And our relaxing Hatha Yoga training gives you the chance to unwind from it all. Join Our Group Fitness Classes In Wells Branch Today! Our team at Austin Impact Jeet Kune Do is proud to meet the needs of everyone in Wells Branch with cutting-edge Group Fitness Classes. 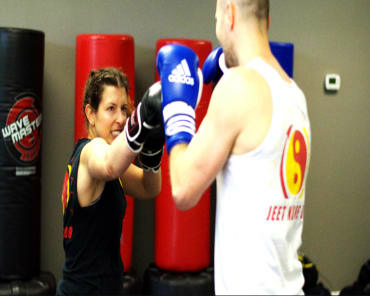 Join us at Fighting Fit Boot Camp and change the way you train today. Just fill out the short form on your screen to get started now!